Free and simple cross stitch patterns download for beginners. 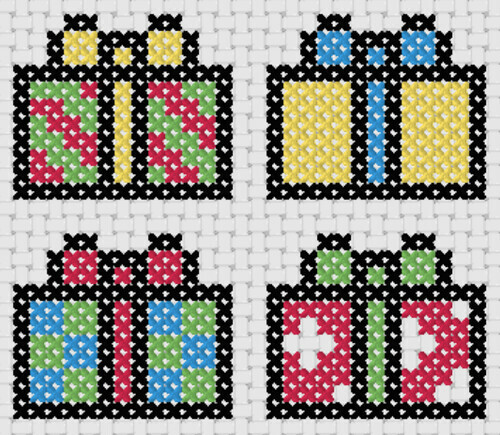 Start by Downloading These Free Cross Stitch Designs! Cross stitching is great for personalising your craft projects, so we started a new set of simple cross stitches called the 40 Stitch Or Less collection. The patterns in this collection measure no more than 40 stitches across and 40 stitches down. They are perfect for small crafts projects like bookmarks, greeting cards, coin pouches and purses, Christmas stockings, and many more. Combine them with our fonts collection, and you’ll get your very own customised craft for personal or sale! Do enjoy our other collection called the Zodiac Series and Baby Zodiac Series.